Network Manager - Provides wireless performance dashboards, RF visualization, centralized monitoring, configuration, fault management, visibility over long-term trends, and centralized reporting. Spectrum Manager - Detects and identifies both WiFi and non-WiFi interference on all channels all the time. Service Assurance Manager - Delivers end-to-end service assurance for the network and its applications. Wireless Intrusion Prevention System (WIPS) - Detects wireless intrusions using predefined and custom signatures on an integrated platform with other WLAN management applications, PCI 3.0 Compliance reporting. Data Security Standard and Payment Application Data Security Standard now supported up to the latest release. 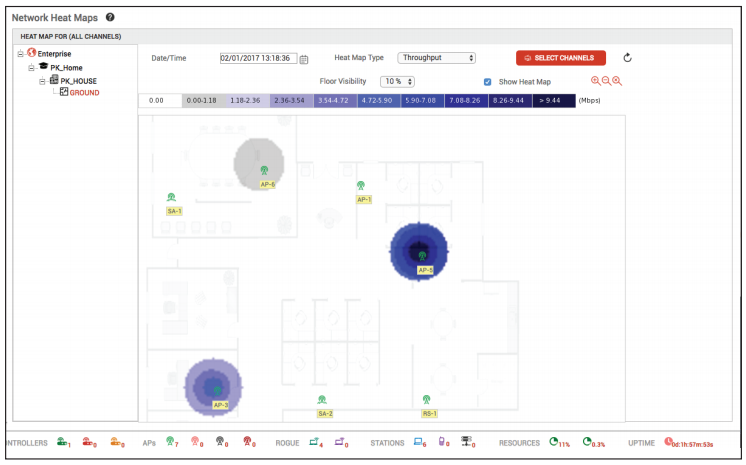 Fortinet's Service Assurance Manager is the industry's only predictive diagnostic software for remotely diagnosing the health of wireless networks without requiring overlay sensors. With Service Assurance Manager, the network automatically performs predictive health checks and reports any issues before end users are impacted. Service Assurance Manager creates network baselines and runs application-level tests continuously or on demand. It provides you with an executive summary of network operations through a simple dashboard. Unlike conventional wireless technology, Fortinet's single-channel architecture enables wireless access points within the network to communicate with each other. This allows a Virtual Client to temporarily be placed on the access point, emulating a client station for the duration of Service Assurance Manager's diagnostic tests. Virtual Clients test for application performance from the client to the application server, without impacting users on the network. This approach enables Service Assurance Manager to proactively detect service failures that ordinary management software cannot - for example, if an antenna has fallen off an access point. 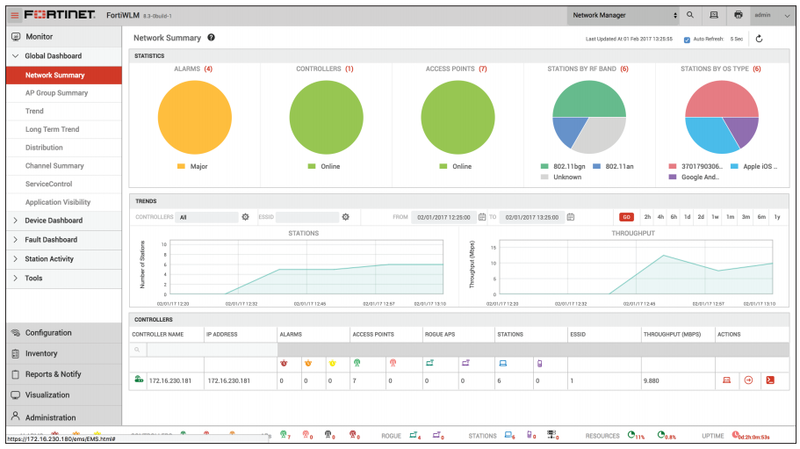 Fortinet Wireless Manager includes a signature-based Wireless Intrusion Prevention System able to detect and counter wireless security issues. Network administrators can customize the response to threats based on an organization's individual needs, as well as define new signatures and generate reports of all activity that affects security.